Jerusalem, Israel — July 23, 2016 … The following statement was communicated by the Israel Prime Minister’s Office to the Israel News Agency. Jerusalem reached out to her friends after the third mass attack in Europe in little over a week, after the killings of 84 people in Nice, France, and an attack by a young refugee wielding an ax and a knife in Germany that left five people wounded. In contrast to the first two attacks, the one in Munich appears to have had no links to ISIS or other Islamic terrorist groups. 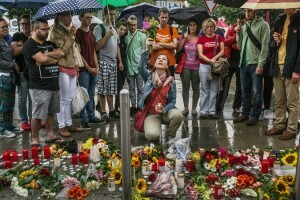 Nor was the terror attack directly linked to the wave of migration that has fueled racial, ethnic and religious tensions in Germany and across Europe. The attacker in Germany, Ali Sonboly used a 9-millimeter Glock handgun, and hundreds of rounds of ammunition for it. The rampage started at 5:52 p.m. on Friday, at a McDonald’s in Munich a few miles from where he lived with his mother, father and brother. Sonboly, 18, moved on to a shopping mall across the street, then to the top level of an adjacent parking garage. By the time his murderous attack was complete, he had killed eight other young people and one middle-aged person. Then, in front of two police officers, he killed himself with his own gun, the police said. 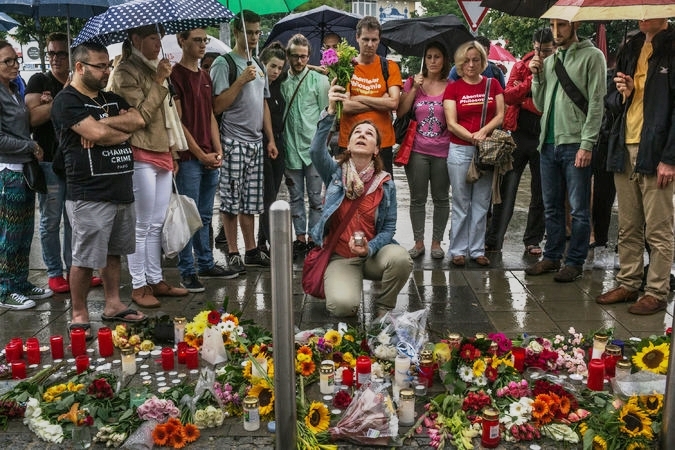 Police said he had dual German and Iranian nationality and was born and raised in Munich. The attack left 27 people wounded, 10 of them with serious injuries.